Professor Sander’s research explores the transport of ions across plant cell membranes and the roles of ions in signalling and nutrient status. He has identified membrane transporters which transport zinc across plant membranes, establishing principles for biofortification of cereal crops with essential human mineral nutrients. Dale molecularly characterised calcium permeable channels and is interested in how calcium fluxes are initiated and respond to plant stress such as attack by aphids. Dale’s research focuses on how plant cells respond to changes in their environment and how they store the nutrients they acquire. In particular, his laboratory works on how transport of chemical elements across cell membranes in plants is integrated with cellular signalling and nutritional status. Plant transport systems have key roles in the control of crucial crop traits such as nutritional value of foods, seed germination, the response to drought conditions and how plants cope with toxic compounds in the soil. Zinc deficiency is thought to impact on 30% of the world’s population, due in part, to the near absence of the metal in cereal endosperm. Work in Dale’s laboratory on the characterisation of novel cation diffusion facilitators in Arabidopsis and cereals involved in the transport of zinc is identifying a bio-fortification strategy to enrich the endosperm in this heavy metal. Nutrient accumulation in plant vacuoles is energised by a proton-motive force established by two types of phosphohydrolase: an ATPase and an inorganic pyrophosphatase. They are unravelling the distinct roles in nutrient acquisition played by these two classes of enzyme. 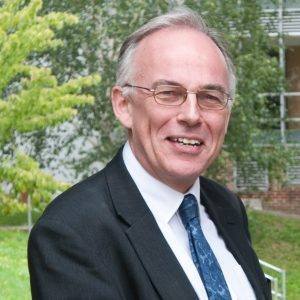 Dale has authored over 140 scientific papers, many of which have been highly cited and in 2001 was elected a Fellow of the Royal Society and co-awarded the European Science Prize of the Körber Foundation.